WaterLOG® is a world leader in water measurement technology, providing reliable equipment designed for data collection in extremely harsh environmental conditions. WaterLOG® provides innovative, reliable solutions with high quality measurement instrumentation, data collection, and data presentation. 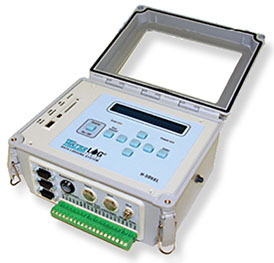 WaterLOG® Data Loggers provide an ideal cost-to-performance ratio. With over 20 years of experience in data logger development and support, these data loggers are designed for use by hydrologist, meteorologists, environmental scientists, and water professionals. WaterLOG® data loggers are used throughout the world in the most rugged and unforgiving environments. 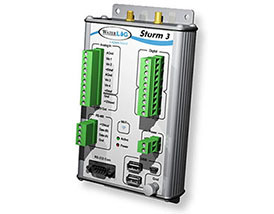 The Storm 3 incorporates a balanced set of inputs for analog, digital I/O and SDI-12 smart sensors to allow communication through cellular modems and GOES satellite. Easy to configure and collect data using the browser-based graphical user interface (GUI) with all standard web browsers on PCs, tablets and smart phones. View password-protected and public data anywhere with internet access. The WaterLOG® XL Data Logger series is an extremely reliable and history proven Data Collection Platform (DCP) consisting of four models. The H-500XL, H-350XL, H-522 and H-522+ accommodate various applications for remote operation. Collect reliable data under extreme environmental conditions, communicate with Satellite, GPRS/GSM modems and other means of communication with the XL Data Logger series. Ideal for small remote Hydro Meteorological systems. Designed for non-contact water level measurement, the WaterLOG Nile Series (502/504/517) combines high accuracy with an out-of-the-box measurement range of up to 70 m. Its reliable interface and simple SDI-12 communication ensure seamless integration with current water monitoring stations. With three models to choose from, the Nile Series is sure to meet your water monitoring needs. The Amazon provides a continuous air bubble and an integrated pressure sensor that measures the pressure required to push the bubble out of the orifice line, which is the line pressure. The line pressure value measured in psi is then converted into the desired units of measurement to represent water level. 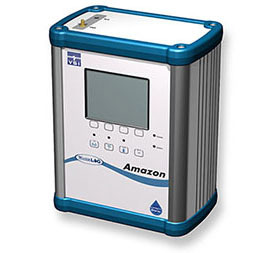 The Amazon can be used as a stand-alone unit or sensor with a full suite of communication protocols including SDI-12, MODBUS via RS-485 or TCP, and 4-20mA. The Amazon requires no special software and is easily configured with an optional display and or web browser GUI. YSI’s water level team of professionals have been providing bubbler support for over 20 years. 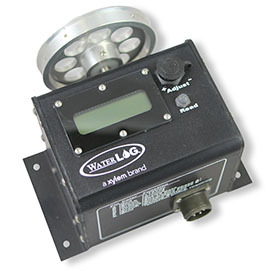 The WaterLOG® Models H-3301/3311/3342 make up the Digital Shaft Encoder series. Accurately measure water level in a stilling well. Measure water level by monitoring the position of a float and pulley, with a magnetic sensor to minimize static sensitivity. 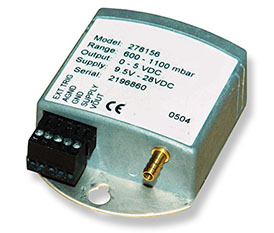 This series is user friendly and compatible with most data loggers. Easily read the built-in LCD display included in the H-3311 and H-3342 models. 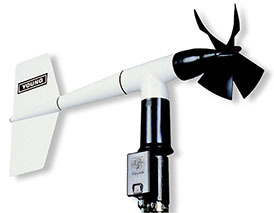 Measure horizontal wind speed and direction. The WaterLOG® Model H-375 Wind Monitor is a high performance, rugged yet accurate and light weight, wind sensor for measuring horizontal wind speed and direction. Its simplicity and corrosion-resistant construction make it ideal for a wide range of wind measuring applications. The WaterLOG® Model H-378 Barometric Sensor provides accurate atmospheric pressure measurements. 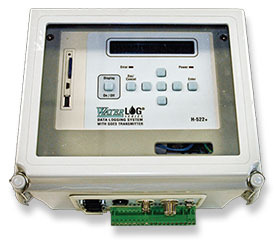 The sensor is housed inside the data recorder enclosure for protection and easy interfacing to the recorder. Venting to the outside provides a proper measurement of current barometric pressure conditions. The H-3791 Pyranometer is used to measure global solar radiation within all types of applications and studies. The sensor features a silicon photovoltaic detector mounted within a fully cosine-corrected miniature head. In clear unobstructed daylight conditions, (for which purpose the sensor was calibrated) the sensor compares favorably with first class thermopile type pyranometers. In most natural daylight conditions the error is ± 3%. Measure temperature in streams, lakes, wells, oceans, waste water, soil and air. 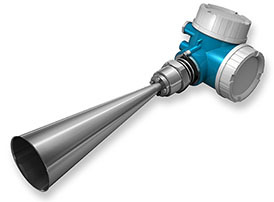 The WaterLOG® Model H-377 is a high accuracy temperature probe. Measure air, soil or water temperature for accurate and reliable data.